Jacob and Minshall Painter are recognized as connoisseurs of the horticulture world. For years the brothers cultivated their interests by establishing an extensive collection of plants. However, nature was not their only passion. Jacob and Minshall had a significant enthusiasm for scientific nomenclature and investigating and documenting the genealogy of local families. The two wrote a substantial amount in diaries, manuscripts and other materials concerning these topics. 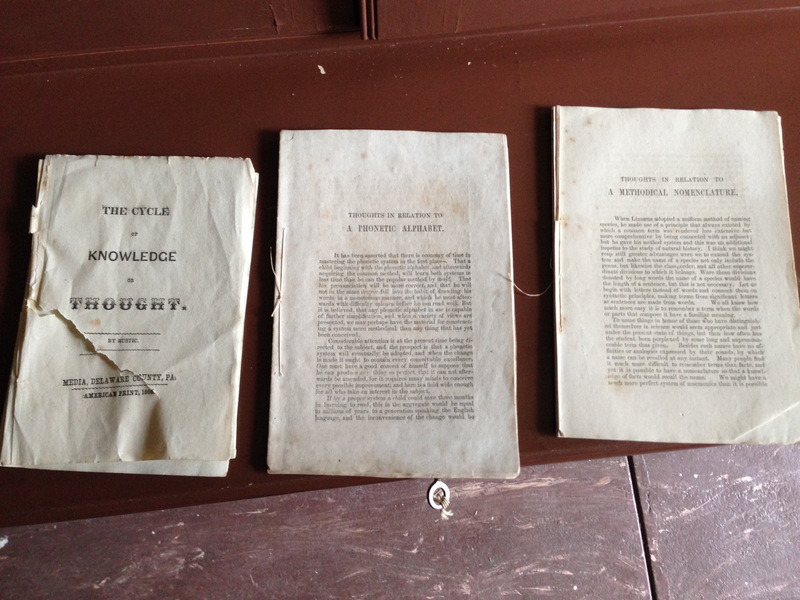 In 1863, the brothers felt the need to dedicate a specific space for their collection of books and other intellectual work. They built what we now call the Painter Library. The brothers began to fill the library with many objects of interest including a celestial globe and a telescope. Another object in the brothers’ collection is a printing press, thought to have been purchased on November 8, 1866 by Jacob Painter. Minshall Painter kept a thorough diary, which provides many of the dates concerning the acquisitions of their equipment. On that day, Minshall wrote, “Jacob went to Media for his printing press and set it up.” Throughout the remainder of his records, he mentions several of the pamphlets that were printed on the press. Many of which are documents of family lineage. 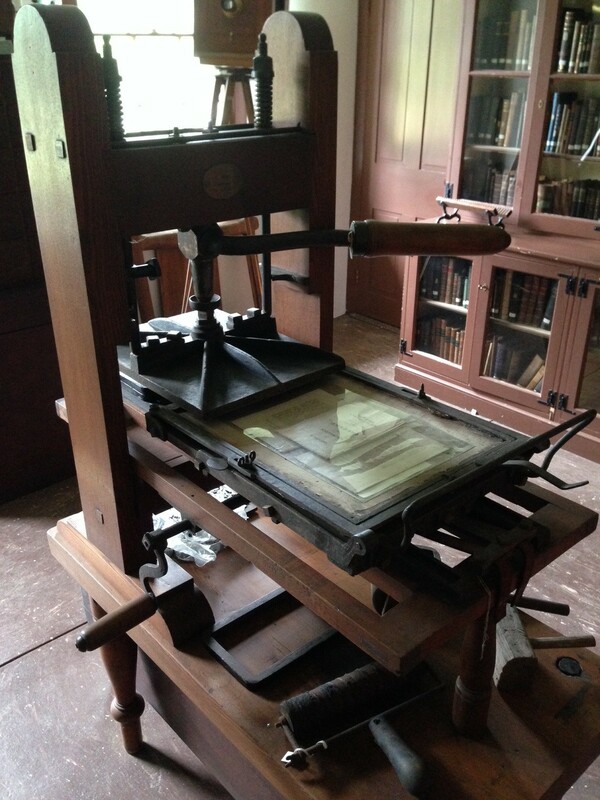 The printing press of the mid-19th century was much different than that of the digital age. The sporadic dates of the Painter brothers’ printing make sense when taking into consideration the amount of time and intensive labor accompanying the mechanics of a 19th century printing press. 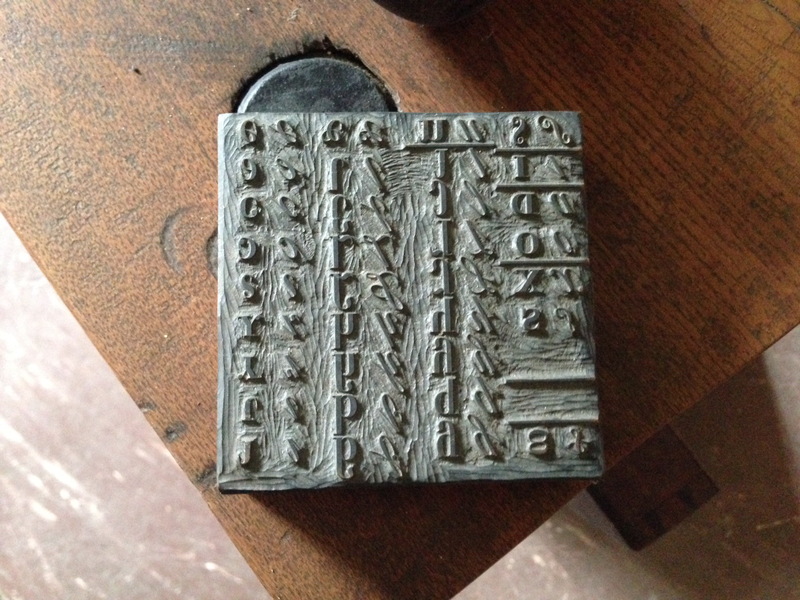 The process of printing began with individually setting each letter of type. The type was then fastened in place by blocks, also called furniture, and a chase. The type would be blotted by ink or pressed into an inkpad made of wool. Once the type was secured and inked, the paper was inserted and rolled into place. The final step would require the pulling of the devil’s tail, which would apply the pressure needed to print the type on the paper. The multiple steps made the process a timely endeavor. You can see the printing press along with the other equipment collected by the Painter brothers at Tyler Arboretum. Tyler will be hosting a Historical Buildings Tour on July 13 and August 3 at 1:00, 2:00 and 3:00 p.m. Tours are free to members and are included in the Arboretum’s admission fee.